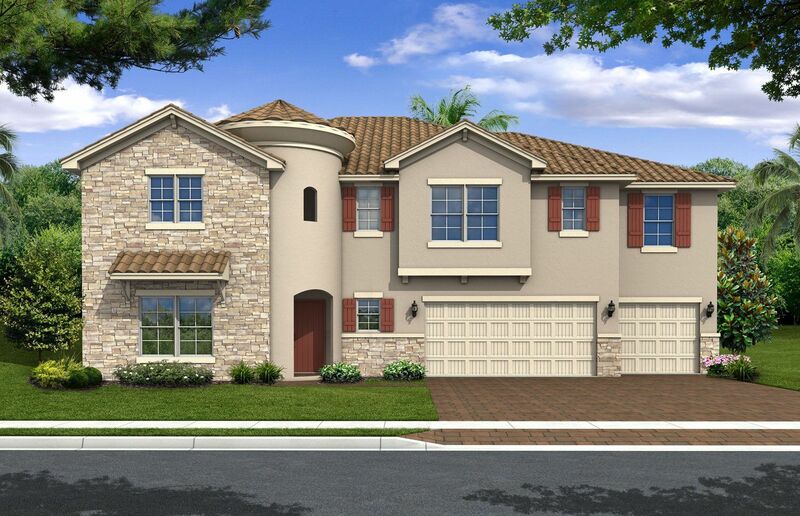 This master-planned community outside of Orlando hugs the shoreline at renowned Lake Tohopekaliga. Bellalago offers Mediterranean-style new homes in Kissimmee, lakeside recreation options and high-end amenities for residents to enjoy.Never a Dull Moment Embrace the lifestyle of Bellalago, where an abundance of water-oriented recreation and community amenities make this prime Orlando real estate an upscale, active and attractive option. Stroll the 1,300-foot boardwalk, sitting for a while at the gazebo to contemplate the view. Exploring Lake Toho is convenient with a community boat ramp and lift. Or, enjoy from the shore with a fishing pier and covered areas for relaxing in the shade. You can also enjoy access to 300 acres of inland lakes and waterways. State-of-the-art amenities at Bellalago provide all the fitness and fun you want, with two 7,000-foot clubhouses with impressive features. Club Vialago includes an immense lifestyle center, multi-pool aquatic center, fitness center, a water park and tot lot for the kids, tennis and basketball courts. Nature and bike trails meander throughout the neighborhood. Residents can also access to Club Isola at Bellalago’s sister community, Isles of Bellalago. This recreation center features a clubhouse with fitness center, free-form pool, spa, a children’s interactive water park and a tot lot.Beautiful New Homes in Kissimmee Bellalago offers a variety of floor plans and elevations to choose from, and move-in ready homes for sale are also available.1,767 to 5,646 Sq. Ft.3 to 7 Beds2 to 5 Baths0 to 1 Half Bath1 to 2 Story Homes2 to 4 Car GarageExcellent School Options Children here can attend respected Bellalago Academy, a neighborhood K-8 charter school adjacent to the community. Just down Pleasant Hill Road, Liberty High School, 9-12, features a new $49 million campus. Both are within the Osceola School District.